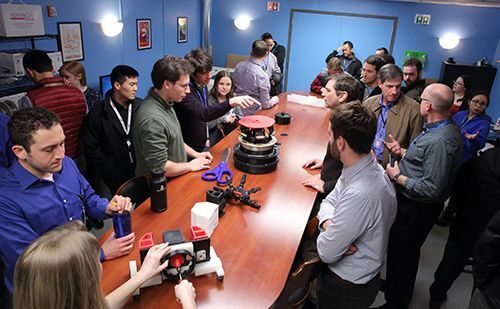 Orbital ATK’s Dulles, Virginia, facility recently celebrated the opening of the campus’s new Makerspace, a creative laboratory designed to encourage employees to think outside the box when it comes to solving engineering problems. 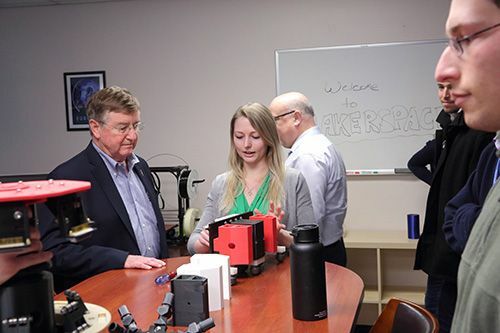 Orbital ATK's Space Systems Group President Frank Culbertson tours the new Makerspace with employee Megan Smith. The Makerspace hosts several 3D printers, a 90W laser cutter, voltage supplies, soldering irons, and computers with many engineering tools across several disciplines. 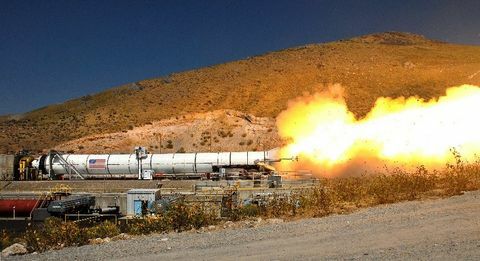 It serves as a place for solving engineering problems and has been used to create numerous small-scale personal projects, a large demo to simulate docking with the International Space Station and a variety of tools needed for hardware tests. 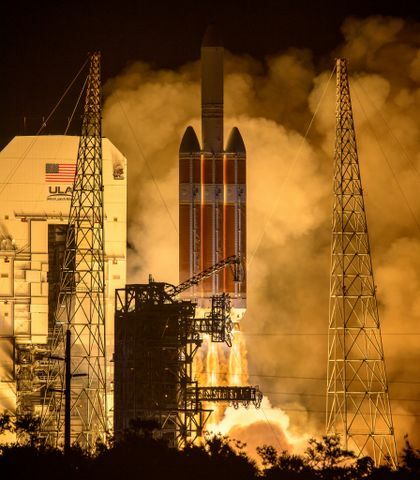 “To describe it simply, makerspaces are a community center with tools,” said Marc Costantine, founder of the Dulles Makerspace. 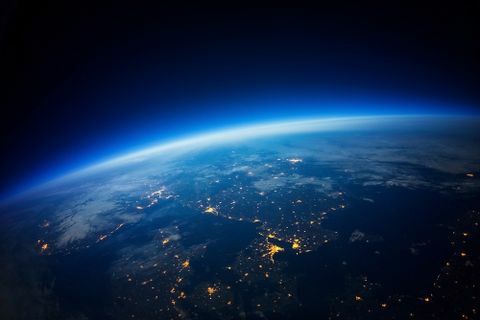 “Makerspaces combine equipment, community, and education for the purposes of enabling community members to design, prototype and create manufactured works that wouldn’t be possible to create with the resources available to individuals working alone." The space houses numerous tools including three 3-D printers. 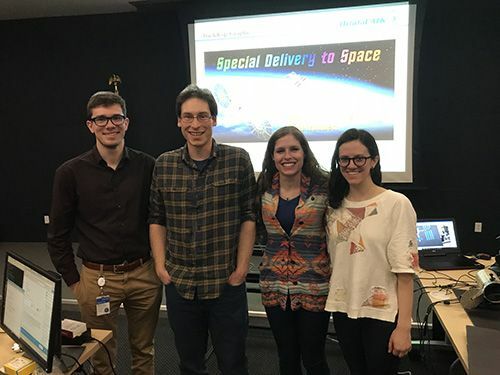 Members of the company’s Early Professionals Investing in Careers (EPIC) group proposed the Makerspace in 2016 after realizing they needed a centralized space to develop a demo for the USA Science and Engineering Festival. With the help of management, the group was allocated a space and a budget for materials. The team hopes the space will foster learning and innovation and provide a place to create, mentor and innovate. 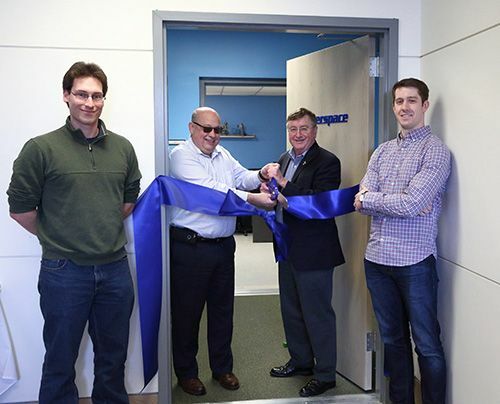 EPIC Members Peter Kueffner (left) and Marc Costantine (right) celebrate the Makerspace grand opening with Vice President of Engineering Chris Richmond and Space Systems Group President Frank Culbertson. Makerspace Council members Brad Hecht, Peter Kueffner, Staten Longo, Caroline Yancey. Several other employees helped develop the Makerspace, including Ryan Gould, Chris Coulter, Lindsay Podsiadlik, Jack Lawrence, Chris Richmond, and Jim Judd.